UPDATE: George Auer was found safe by Sheriff's deputies this morning. MELBOURNE, Florida -- The Brevard County Sheriff’s Office is seeking assistance in locating a missing Melbourne man identified as 64-year-old Raymond George Auer of Melbourne, Florida. Mr. Auer is approximately 6’03, 200-210 lbs. with gray hair and hazel eyes. He was last seen in his air boat accessing Lake Washington from a canal in the area of Evinrude Road in Melbourne at approximately 7:15 AM. He was expected home before noon and has not returned. 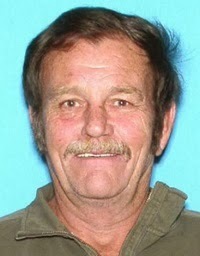 Mr. Auer was last seen wearing camouflage clothing and an orange vest. Anyone with information is asked to contact Agent Kyle Williams, Brevard County South Precinct General Crimes via the Sheriff’s Office Communications Center at 321-633-7162.